The North American Cambridge Latin Course is a well-established four-part Latin program whose approach combines a stimulating, continuous storyline with grammatical development, work on derivatives, and cultural information. There is also a complete Language Information section, plus numerous color photographs illustrating life in the Roman world. The Course has now been fully revised and updated in the light of feedback from user schools, and includes the very best in new research. 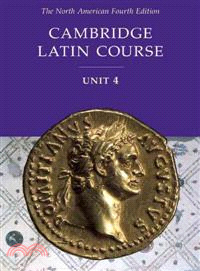 The Fourth Edition continues to offer teachers and students alike a stimulating, reading- based approach to the study of Latin.